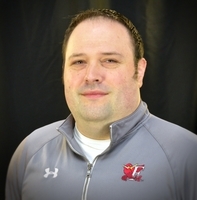 Matt Rau has been the General Manager of the Fargo-Moorhead RedHawks since February, 2018. He previously worked for Learfield Communications in St. Cloud, MN as general manager of St. Cloud State Sports Properties. He also had stops in Kinston, NC (Class-A Cleveland Indians), Omaha, NE (AAA Kansas City Royals) and Dubuque, IA (United States Hockey League), working primarily in management, operations and sales. Rau is a Fargo, ND native who attended North Dakota State University and played for the Bison baseball team. He finished his degree at Ashford University in Iowa. His career in sports started with the RedHawks, working on the grounds crew while attending NDSU. He currently resides in Fargo.